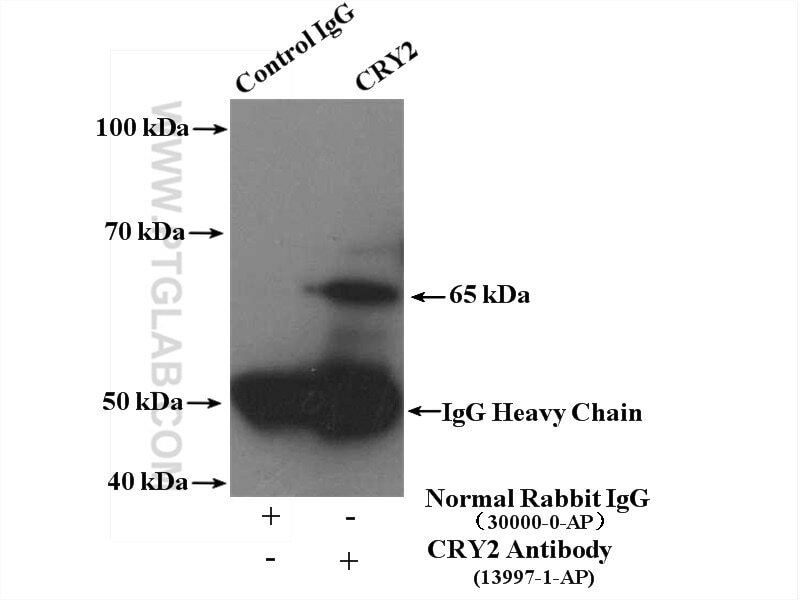 IP Result of anti-Cryptochrome 2 (IP:13997-1-AP, 4ug; Detection:13997-1-AP 1:300) with mouse brain tissue lysate 5200ug. 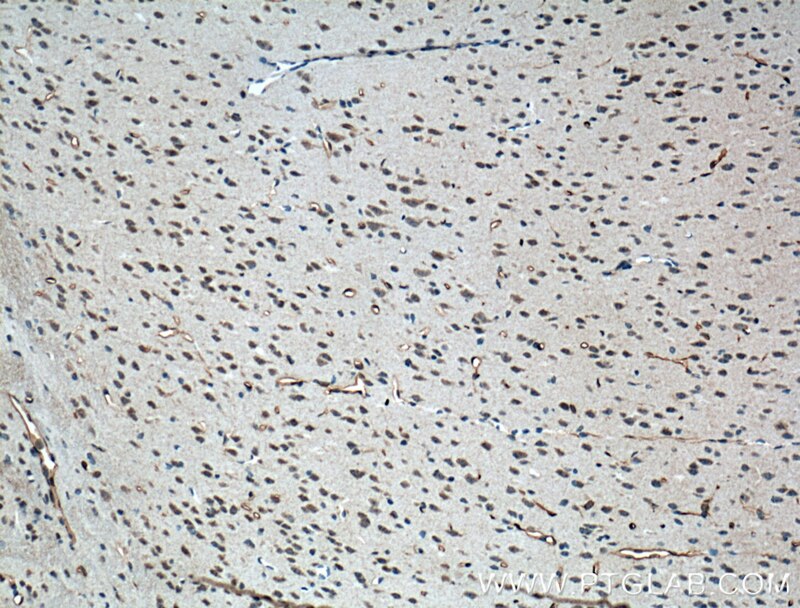 Immunohistochemical analysis of paraffin-embedded mouse brain tissue slide using 13997-1-AP( Cryptochrome 2 antibody at dilution of 1:200 (under 10x lens). heat mediated antigen retrieved with Tris-EDTA buffer(pH9). 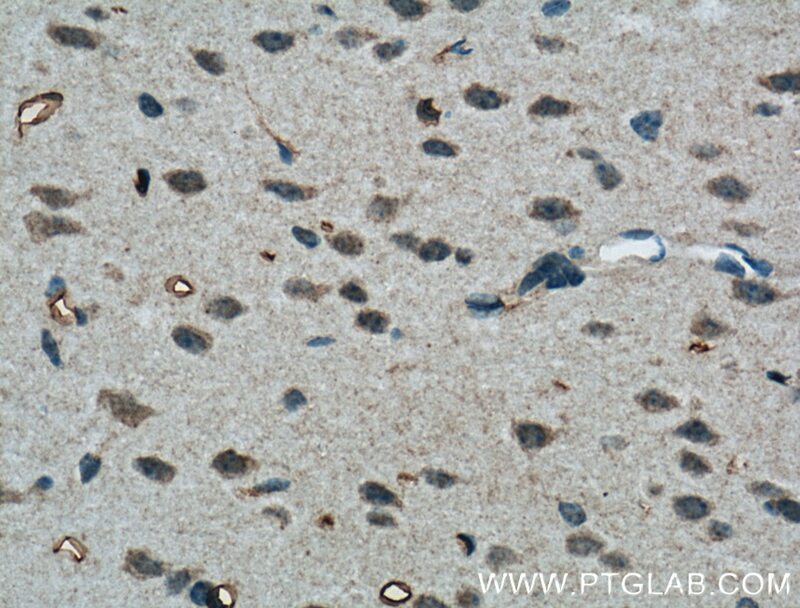 Immunohistochemical analysis of paraffin-embedded mouse brain tissue slide using 13997-1-AP( Cryptochrome 2 antibody at dilution of 1:200 (under 40x lens). heat mediated antigen retrieved with Tris-EDTA buffer(pH9). Cryptochrome circadian clock 2 (CRY2) is a flavin adenine dinucleotide-binding protein that is a key component of the circadian core oscillator complex, which regulates the circadian clock. Loss of CRY2 stabilizes c-MYC and enhances cellular transformation. CRY2 can function as a co-factor for the SCF substrate adaptor FBXL3. (PMID: 27840026) CRY2 has two isoform with MW of 60, 67 kDa. KPNB1 mediates PER/CRY nuclear translocation and circadian clock function.